It’s that time of year again! We’re either putting our children on buses, sending them out the door walking, sending them out the door driving or we’re dropping them off. 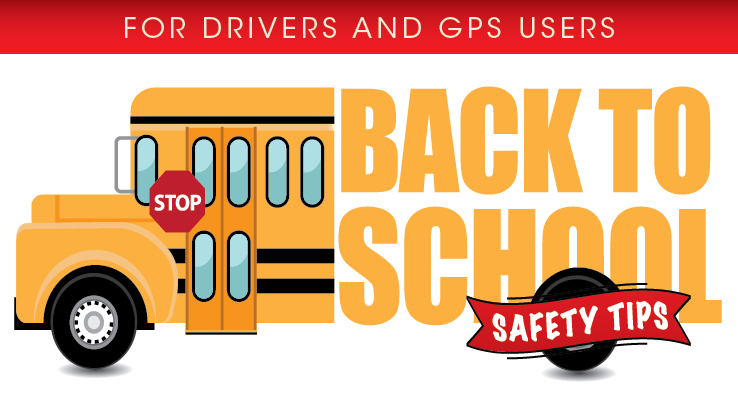 Whatever the case may be for your family, there are some simple steps we can all take to keep our kids safe as they get to and from school each day. According to research by the National Safety Council, most of the children who lose their lives in bus-related incidents are 4 to 7 years old, and they're walking. Here’s our number one most important tip: SLOW DOWN!! Slowing down and taking a few extra minutes to work won’t cost you anything and may save a life. Unfortunately Americans still haven’t quite figured this one out: Always yield to pedestrians in crosswalks!! Especially young pedestrians walking to school. Often kids must walk to school alone and… (surprise) don’t always follow the rules. Take extra care to look out for children in school zones, playgrounds and parks, and residential areas. No! You can’t beat the bus!! Plus, it is illegal in all 50 states to pass a school bus that is stopped to load or unload children. Unfortunately, we can all think of a time recently when you saw this happen. It’s amazing how many tragic stories like this one and this one we still read each year. If you have young pedestrians who must walk to school alone, throw an iTrail Solo GPS Tracking device into their backpack when heading out the door. You will receive your child’s location update every 30 to 60 seconds via text message or email. And you can know when your tracker has left a specified area using our GeoFence alerts! If you're driving behind a bus, allow a greater following distance than if you were driving behind a car. Drop off line is not for catching up and small talk. Move along! Avoid any temptation to get out of your car during drop off and pick up. Around this time of year a teen or college student will get behind the wheel of the car and drive themselves to school for the first time. This can be a freeing, happy, fun and scary experience all at the same time! Here are a few resources to help take away the scary part of the experience! We’ve also provided some great tips here for teen driver safety. These can easily be applied to teens driving themselves and their friends to and from school. Finally, make sure you share these safety tips with your teen before they head off to college. Our handy campus safety guide will help keep your teen safe once they’ve arrived! Purchase any of the iTrail products mentioned above here!